Put your best foot forward! Iconic Classic Sparkling Mary Janes enjoy a fun update with the addition of rhinestones and a pretty flower. 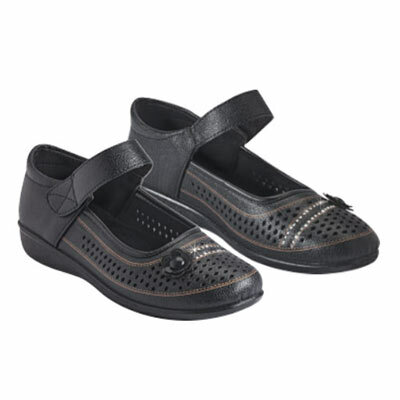 Ultra comfortable with a velcro strap and non-slip sole. Imported. Available in whole sizes.